“The calm before the galactic storm…” – Is Disney teasing a huge Star Wars 9 reveal? Is the UK’s official Star Wars Twitter page really preparing us for a huge Star Wars 9 announcement? “This is where the fun begins” the tease continues as it seems to draw a parallel between Harrison Ford's Han Solo and Hayden Christensen's Anakin Skywalker that I'm definitely not okay with. So, what could this mean? Is it out of the realms of possibility that Disney is preparing to drop the first trailer for Episode 9? It’s certainly possible, but it seems unlikely. We don’t even know the name of the film yet – Disney wouldn’t rob itself of an extra opportunity to break the Internet. Besides, the longer it makes us wait to see anything of J.J. Abrams’ end to the new trilogy simply gives us more time to posit Star Wars theories for Episode 9. With Rey, Finn, Poe, Kylo Ren, and the rest of the crew all looking to wrap up their conflicting story arcs in Star Wars 9 you better believe that there's plenty of fan theories to dig through in the meantime. Thinking back, the title of Star Wars: The Last Jedi was revealed back in January 2017, so there is a precedent set for Disney revealing this information to the public so early in the year. Hell, the trailer followed that reveal three months later, in mid-April. If I were a betting man, I’d put my money on a title announcement coming early-March, although that information is based on little more than my desperate desire to know what it is. I’m only human, Disney – don’t hurt me like this! 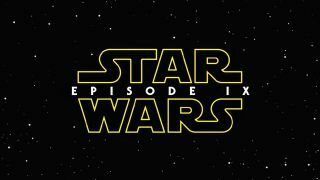 Star Wars 9 will be released in UK cinemas on 19 December and in the US on the 20 December. But if you can’t wait you could always catch up on previous films in the saga by finding out how to watch Star Wars movies online. Interested in what comes after Star Wars 9? Disney has a load of new Star Wars movies in production and you can check them out right here.